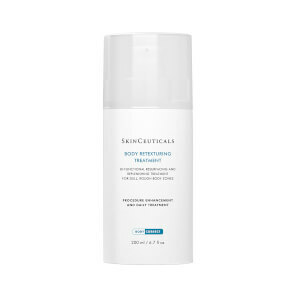 Protect and moisturize your skin with SkinCeuticals Light Moisture UV Defense SPF50 Lotion, a high protection sunscreen for the face and body. The oil free sun lotion is formulated with an optimized concentration of UVA/UVB filters to provide advanced broad spectrum protection against damaging UV rays. Moisturizing as it protects, the weightless sunscreen leaves skin feeling soothed and comfortable, and has a sheer formula that won't leave a white cast on skin. Developed with quick-dry technology, the fast absorbing lotion won't transfer onto clothing or clog your pores. 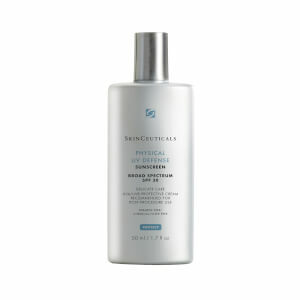 Blending in effortlessly, it creates an invisible shield to hydrate while protecting against the sun's rays. Water resistant for up to 40 minutes. Suitable for normal, oily, combination and dry skin. 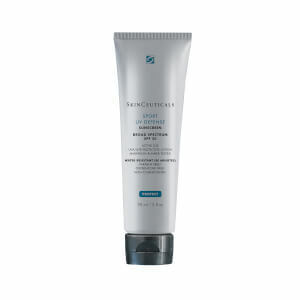 Apply a generous amount of this oil free sunscreen to the face, neck, and overall body 15 minutes prior to sun exposure. Apply before makeup. 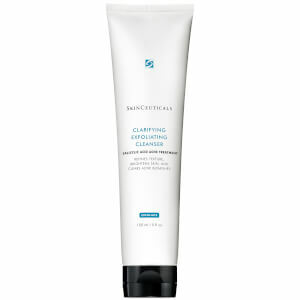 Reapply after 80 minutes of sweating, swimming, immediately after towel drying, and at least every two hours. For children under six months of age, consult a physician before use. Active Ingredients: Avobenzone, Homosalate, Octisalate, Octocrylene. Inactive Ingredients: Water, Styrene/Acrylates Copolymer, Dimethicone, Polymethylsilsesquioxane, Butyloctyl Salicylate, Glycerin, Alcohol Denat., Poly C10-30 Alkyl Acrylate, Caprylyl Methicone, Trisiloxane, Acrylates/C10-30 Alkyl Acrylate Crosspolymer, Acrylates/Dimethicone Copolymer, Caprylic/Capric Triglyceride, Caprylyl Glycol, Diethylhexyl Syringylidenemalonate, Disodium EDTA, Glyceryl Stearate, Inulin Lauryl Carbamate, P-Anisic Acid, Peg-100 Stearate, Peg-8 Laurate, Phenoxyethanol, Potassium Cetyl Phosphate, Tocopherol, Triethanolamine, Xanthan Gum.